The Last Android is an isometric adventure game that takes much of its influence from Hyper Light Drifter. The player takes the role of the titular last android and must fight through a hord of robots to save the last of humanity. The player has a melee attack they can use to destroy the enemies and a dash that allows them to avoid attacks and move over narrow water without dying. To aid them the player will find items that give them a temporary increased speed, damage or health. Creating the game design documentation used for the project. Deciding the effects of the pickups. Creation and iteration of two levels. 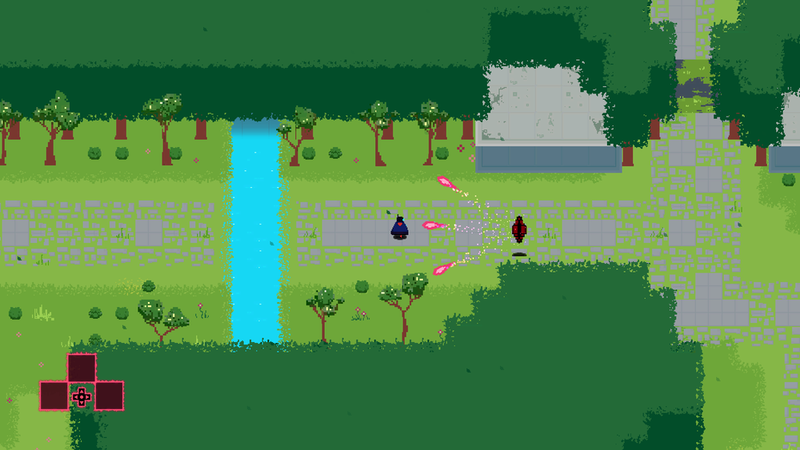 Using Hyper Light Drifter as a reference game. Creating levels were the player had space to move and dash around enemies while at the same time keeping the fight contained. Due to some limitations we did not want the player to simply run past enemies since they would keep following the player until either they or the player died. We solved this by adding gates thet would only open if the player destroyed the enemies in the room thus allowing the player to continue.